To kick off 2017, we would like to honor a skater that has been around since the inception of RMRG. Winona Fighter, #8, starting rolling in August of 2004 when all of Roller derby was in its nascent stage. We never thought it would happen, but she’s decided to hang up her skates for now to pursue other things in life. “Westword had for some reason posted our practice times–we weren’t even really doing recruiting. So we were at the rink practicing and she showed up, got skates and started lacing them up on the side of the rink. She didn’t talk to us and we didn’t talk to her. We just watched her lace up the skates and speculated about why she was there. Apparently at some point I got up the nerve to skate over and ask ‘Are you here for roller derby?’ We figured she was at least cool as she had on a Ramones t-shirt. And the rest is history! Although derby has radically changed from those innocent days of 2004, we here at RMRG have been lucky to have had an ‘old schooler’ in our midst for so long. 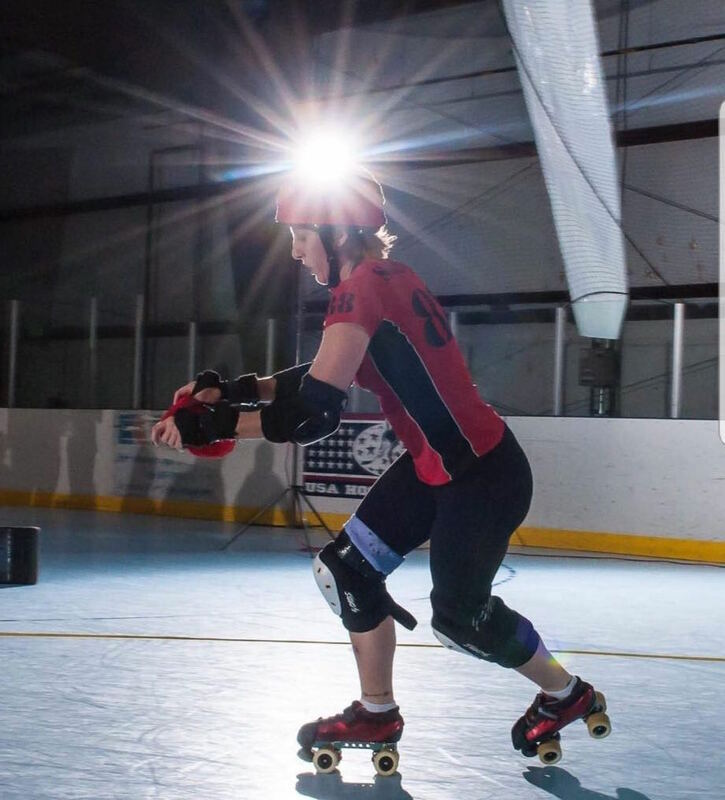 We could always count on Winona to speak her mind and tell us how it is, and we appreciate her derby wisdom and down-to-earth outlook on the track and off. And talk about adaptable – though the game has been continually changing since the beginning, very few players can say that they have been able to maintain top-level skills and WFTDA playoff rostering for over 10 years, while maintaining a can-do attitude and pushing others as to the same. We’d be remiss not to mention another major contribution of Winona’s to RMRG – her fabulous photography work! 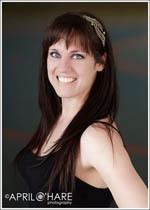 Almost all of the head shots of RMRG players on this site are her work product. She knows how to make all of us look good and put our best faces forward!